Click on the link below for a fantastic interview with Colin Field, Head Bartender of the Ritz, Paris and Forbes Magazine’s “World’s Best Bartender”. Colin has an amazing understanding of the true art of the bartender and an unparalleled dedication to professionalism of the craft. Gareth is one of the most creative bartenders in the South African bar industry and is constantly experimenting with new flavour combinations. A running joke between us is his now infamous use of Marscapone Cheese in a cocktail competition – an unorthodox choice and one that found little favour with the judges, but typical of Gareth’s uncompromising attitude to great drinks strongly influenced by culinary techniques and doing things his way. Drink Movement sat down with him to talk drinks, bartending and the state of the South African Bar Industry. Notable Competition results/Awards: I’m lusted after more than gardeners. Short Bio: Late Father was a popular musician during the 70s and 80s pub scene so I travelled South Africa quite a bit before I was 2. Eventually settled in JHB till present date and it is where I call home. How did you get started in bartending? I thought it would be cool to be a musician, so I studied music at the National School of the Arts until I matriculated in 2000. I then received the, “you need to start working now” speech at which point I landed up at a franchise ‘Irish’ pub. Bartended more than made music, rock star dreams fell away and instead of trying to drown my tears in cocaine, I decided to do something useful with my experience as a bartender. 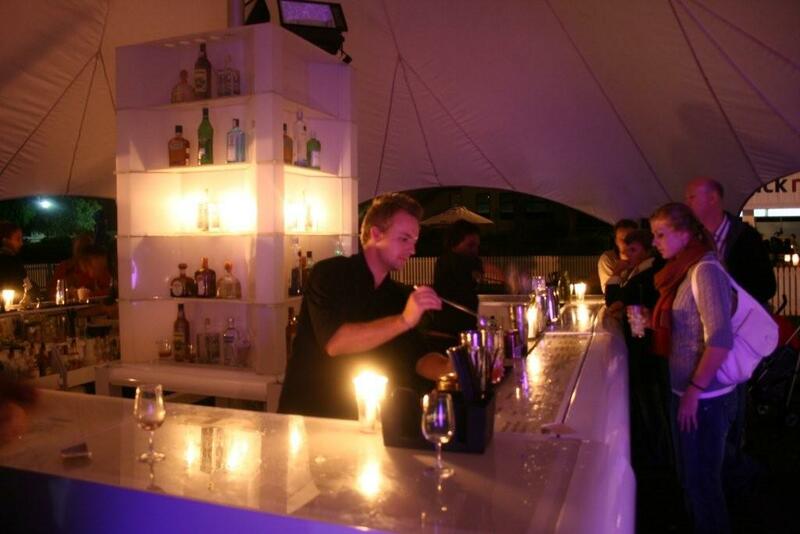 You work for Barcode now as an event manager/mixologist. What are some of the good/bad points of this vs regular bartending? Working for Barcode has been a fantastic challenge. Designing cocktails on daily basis and keeping the ideas fresh and new, fuels my creative juices flowing as my previous job did not. Regular bartending however gives you the ability to practice and perfect the craft, drink after drink and everything is in the same place everyday. I do have the luxury of the occasional free weekend as when working in a regular bar…you do not. What are some trends you’re noticing in the cocktail world? The wonderful classic ‘renaissance’ that started to become trendy the last few years is slowly losing its momentum. As much as mixologists the world over still love and adore the classics and strive for perfection in every glass, the clientele who were once intrigued to try something new or refreshed are getting older and are beginning to prefer their beers and wines which leaves us mixologists in the dust. The classics are still prevalent in the minds of our consumers are they are very wary of trying anything new or different. They like what they like and will not be swayed. Their palates have become slightly more refined and bartenders need to be on their toes drink after drink otherwise they will wear it. Any pet peeves about bartenders you’d like to share? Having the idea that this is where the buck stops and there is no way of improving what they do. SMOKING BEHIND THE F@#KING BAR!!!! We are also a motley crew who are notorious for being unreliable. That has to stop. Have you ever taken any courses/been on any formal drinks related training? Is this a worthwhile path for bartenders to follow? Not really. I have done the odd 1 day wine course but I believe, like in cooking there are classic recipes which should be learnt and mastered before extravagance takes precedence. The correct stirring of a martini, to not over muddle mint leaves etc. I have learnt this through the school of hard knocks and reading, reading, reading. If you could offer a couple of short pieces of advice to the average bartender, what would they be? The customer is king, but the customer isn’t always right. We are servants, and that we shall remain forever. Our trade was once a noble and revered one. Don’t take the piss out of it. Arrive an hour early for your shift and be the last to leave. Taste every cocktail you make and strive for perfection in every glass. What inspires you / goes into creating a cocktail for you? I’ve always loved food. I remember the first time I ever cooked a steak that I loved and decided that that was the way I liked it. I recall the immense pleasure I felt once I bit into it and the facial expressions I pulled. Call it insecurity, but I love designing a cocktail for somebody and when they taste it, their taste buds go into utter ecstasy. Knowing that I have pleased one person out of 1000 is good enough reason for me to keep doing what I’m doing. 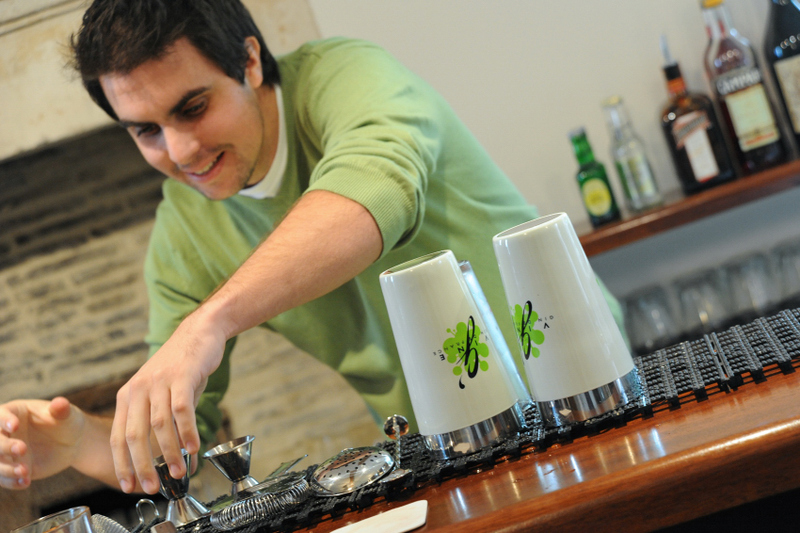 What is your favourite mixology resource? I do love the Chanticleer Society but different blogs are good reads such as Jamie Boudreau’s spirits and cocktails and Kaiser Penguin. I do however really use cookbooks and recipes as a major crutch. If you weren’t in the drinks industry, what do you think you would be doing now? Ok…You’re known as being quite an opinionated guy. Give us your opinion on the state of the hospitality industry in South Africa? Where are we? Where are we going? What’s good and what needs to change? The hospitality industry differs in each city in our beloved country. In Johannesburg the franchises reign supreme. What this fuels is a blinkered knowledge of what’s available and how good food should taste. For example, people who have coffee at a Wimpy have coffee at an establishment that prides itself on their coffee and no expense is spared on training, correct equipment and product. The Wimpy regular will often complain that the coffee’s too cold or too bitter etc. the same can be said with cocktails. In every recipe I know, a cosmopolitan doesn’t get a f! @king cherry and they shouldn’t be sweet either. Franchises rule here due to the sheer size of Johannesburg. Most people are not fond of travelling too far for their vices (ask Genghis Khan!) Johannesburg has the money… but for the most part no passion. There are business owners a plenty here but very few restaurateurs. There needs to be balance of both in a good restaurant owner. I would pay good money for a bar owner to shed tears into a well made old fashioned and stop having the attitude of, “they won’t know the difference” SO TEACH THEM!!!! Cape Town however is exposed to a huge influx of international tourism and the restaurant business in the Western Cape wants to appeal to their tastes as well which is usually of a very high standard. Cocktail bars in Cape Town however are not that different from that from independent Johannesburg bars. The concepts are there but with no follow through. 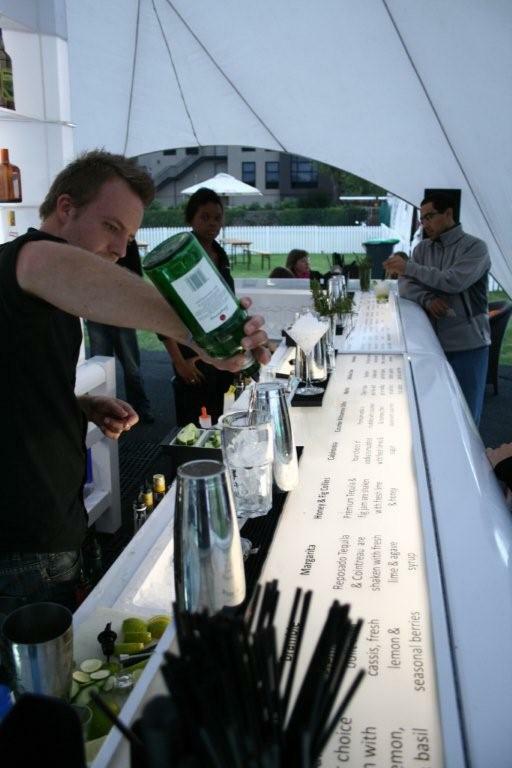 There are amazing bars like Asoka, Tequila Town but I have yet to hear of any of them doing anything that stands out like ice carving or making their own bitters which puts them back in the same leagues as Johannesburg bars. Durban on the other hand is showing immense growth and promise. Very good restaurants and bars are popping up with good menus and passionate staff. I hope to see more of this in the upcoming months. Not having been there in a while, I need to taste what’s happening as opposed to just reading about it. 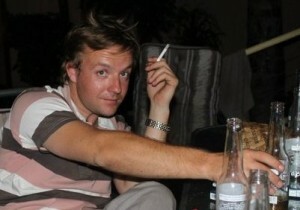 Take me drinking Ryan! Following on from this, South African’s generally seem quite inhibited in their drink selection, most people’s range extending from mass-produced beer through to wine, brandy and coke and a shot of apple sours if they’re feeling daring. 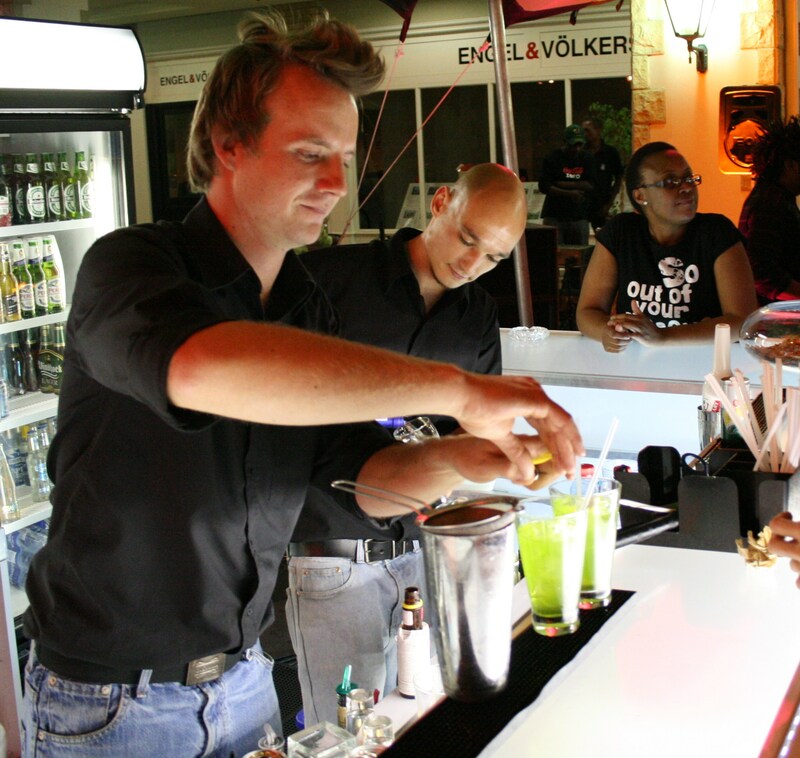 Why do you think South African’s are so removed/far behind in international drinking trends? Is there such a thing as “collective bad taste” or have we simply not been educated enough? Generally speaking, the international community also drinks what they know. They do not want to either a: make fools of themselves or b: waste their money on a product that they won’t enjoy. The mass producers have enormous budgets for marketing and manage to get to their markets effectively. As for the small micro breweries for example, they cannot compete as they are merely humble farmers. Large liquor corporations are also notorious for being bullies and forcing the smaller companies which are growing to close either by buying up bottling plants or forcing bars and restaurants to only stock their products which I feel is both unethical and immoral. Different cultures around the world have been exposed to different products. In the UK for example, there is often a micro brewery in each town that supplies their immediate area. There are a lot of towns. So a large part of the British population grow up knowing of a myriad of brands without it being marketed. Us Saffers had to deal with apartheid reclusion for many years and our parents raised us only know a handful of brands. We grow up and only know those brands and will not change our habits. Can you give us the recipe for one of your favourite cocktails right now? Flame 2 of the orange zests in a whisky glass then add agave syrup and bitters to the whisky glass. Add 2 blocks of ice. Then add 25ml of the Tequila. Some more ice. Add the remaining tequila and stir till glass frosts. Garnish with remaining zests. Cool thanks Gareth…appreciate you taking the time to do this. The fourth in Bacardi’s series of “True Originals“, an ingenious viral campaign featuring different aspects of modern bar culture and classic rum based cocktails. This is also incidentally the first of the series to actually feature a genuine bartender in the form of Flair legend Nicolas Saint-Jean. The rest of the “bartenders” have actually been expertly trained actors! This blog is our way of showing just how much we care about the growth of the industry we love. By sharing knowledge rather than keeping it to ourselves. By publishing recipes rather than telling you it’s a secret. By introducing you to all the exciting, beautiful, delicious and amazing drinks, people, places and experiences this industry has been kind enough to show us. We want to return the favour and share our way of looking at the world of drinks and what it takes to get those drinks into your hands.